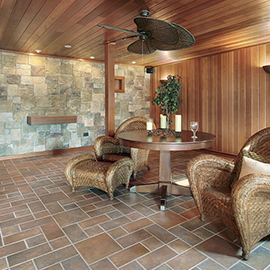 Hardwood Flooring Danbury: Should You Refinish Your Floors? 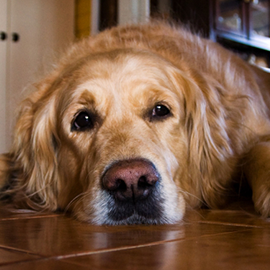 One of the best things about hardwood floors is their longevity. With your initial investment, your hardwood floors can last decades with the proper care and treatment. The only thing most hardwood floors require after their initial installation is the occasional refinishing. So how do you know when it’s time to refinish, and how do you know when it’s time to replace those old floors? Our team can help, no matter if you need to restore or completely replace your hardwood flooring. Lots of dents, scratches or other damage on the surface. Get down on your hands and knees and look across the surface of your floor. If you can see a lot of scratches, dents, and other surface damage, it’s time to get it refinished. Damage is natural over the course of your floor’s life, though wood flooring will withstand a great deal before showing any signs of wear and tear. 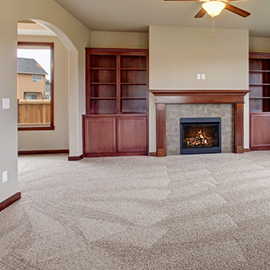 The refinishing process will sand out the damaged areas of your floor and leave them looking their best once again. Dull finish on the surface. Hardwood floors should have a nice sheen to their surface. Over time, this shine can wear away with repeated foot traffic and other damage to the surface. The refinishing process will strip away those old layers of wax and polish to reveal the natural wood underneath, then reapply protective coating to the surface to make them look brand new. You’ll be amazed at how beautiful your floors look once again when they’ve been refinishing properly–it’s one of the huge benefits of having hardwood floors! Warped or water damaged boards. If the hardwood flooring in your home has been badly water damaged, you might want to consider replacing it. Water damage can weaken the boards so they aren’t as strong as they used to be, meaning you could experience more damage in the future as your wood floors age. Warped boards are often difficult to fix and not worth the expense of the effort. Cracked or missing boards could be a sign that the wood flooring in your home is old enough that it should be replaced. Many hardwood floors can last decades–even up to a hundred years or more–with the right care. However, if they haven’t been well cared for, the board can crack and become damaged beyond what refinishing can restore. When that happens, you’ll want to replace the flooring. 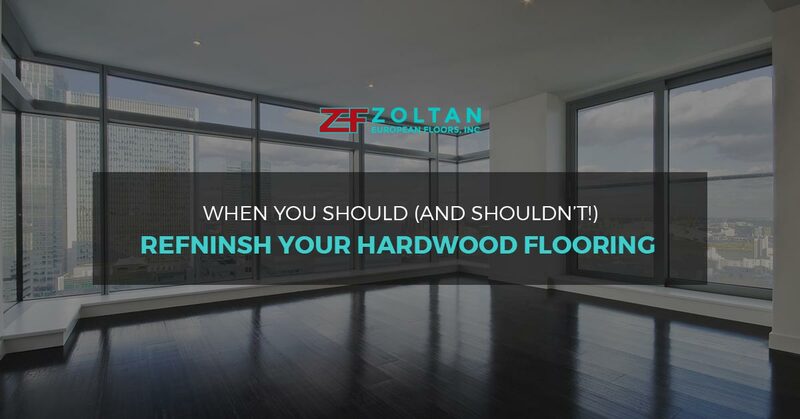 Whether you’ve decided to replace or refinish your hardwood flooring, Zoltan European Floors, Inc. in Danbury is here to help. We offer professional restoration for hardwood floors, completing our work with the highest degree of excellence. If you decide you’d like to replace your floors, we offer a huge selection of styles, colors and prices and even offer easy financing so you can get the floors you want without draining your bank account. Get in touch with our team today and let’s talk about how we can help make your hardwood flooring look it’s absolute best.